Allergens are defined as substances that aren’t naturally harmful to your body, but your body perceives them as a threat nonetheless. The response our body gives to this seemingly harmful intruder is termed as an allergic reaction. Such reactions that are directly associated with the lungs, throat or nose are termed as respiratory allergies, as they cause obstruction in the process of breathing, and are mostly accompanied by a cough and cold. We will talk about respiratory allergy and its natural cure in this article. Allergies are of various different kinds, and the allergens that provoke the body are different for every person. Allergy can be related to the atmosphere around you, climate, what you eat and what you drink, among a host of other factors. What should be known is that even though there is no threat from the outside substance directly, our body still perceives it as one, which is why the reactions given by the body are very real and should not be taken lightly. Allergies are sometimes also caused because of a weak immune system, which fails to properly diagnose threats which the body encounters. Frequently raising such false alarms drains the resources of the body and causes fatigue. The most common allergens as far as respiratory allergies are concerned, are dust, water, pollen grains and pungent smelling substances. Some people also can develop allergic reactions due to foul-smelling garbage, while insecticides and house hold cleaning material may also create such a reaction. Finding whether a person is having a respiratory allergic reaction can be a bit tricky, as it is triggered by almost anything that is found in the surroundings. Usually, it is characterized by reddening of eyes, and severe attacks of sneezing. The cold can also cause headaches and pain in the lower jaws and lungs. Blockage in the nose and respiratory canal cause difficulty in breathing and cough accumulates at the base of the throat due to excessive production of mucus. The symptoms aren’t that harmful and usually go away by themselves in a day or two. Usually, a simple anti-allergen medicine is enough to temporarily relieve the person from the symptoms. There are ways to cure your ongoing allergic attack as well as strengthening your body against future attacks that may happen. The simplest cure is heat. All types of cold symptoms are alleviated by heat, so drink lots of warm liquids, and keep your nose and chest insulated from the cold. But rather than drinking just any liquid, drink something that will not only give you warmth but heal your body as well. Honey is one of the most powerful and tested methods of curing allergic symptoms. Add a spoonful of honey in warm milk, and that will open up your breathing routes. An even better alternative is tea, mixed with ginger. Ginger is a great anti-allergen, and will help dial the body reactions down. If you can, use a neti pot to wash down your nose and clear up all the blockages. If not, wash your nose and gargle with hot water as many times as possible to keep clearing the excess mucus that is forming and blocking the nose. As with many other cases, turmeric can work miracles here too. Turmeric is an anti-allergen as well as an anti-inflammatory herb, so it reduces the growth of the allergy and opens up your nose really fast. 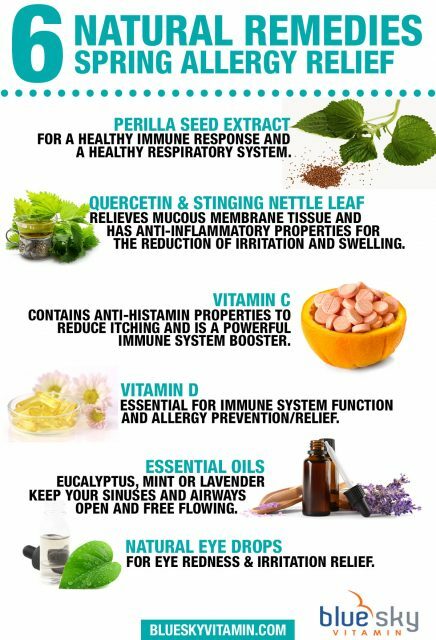 These cures are for the time when you have an allergic reaction. There are also methods which can prevent such outbreaks, or at least dial down the severity. Since all respiratory allergies directly attack the nasal passage, doing breathing exercises on a regular basis keeps your nose healthy and can reduce the severity of such attacks. Methods of Yoga such as Pranayama have been known to strengthen your respiratory system and reduce the effects of such outbreaks. Allergic reactions are also a sign of a weak immune system, and research has shown that having healthy gut bacteria can reduce the occurrence of such allergic outbreaks. Adding probiotic drinks to your daily diet will strengthen your body defense. Also, increase your intake of turmeric, as it further powers up the immune system and keeps diseases at bay. Of course, prevention is better than cure. Only the person with allergies knows what sets them off, so they should be careful to avoid any interaction with allergens. The simple method is to cover your mouth, maybe with a thin cloth napkin that still allows you to breathe. A little bit of precaution and a little bit of care will make those allergic outbursts much more bearable and must less frequent.